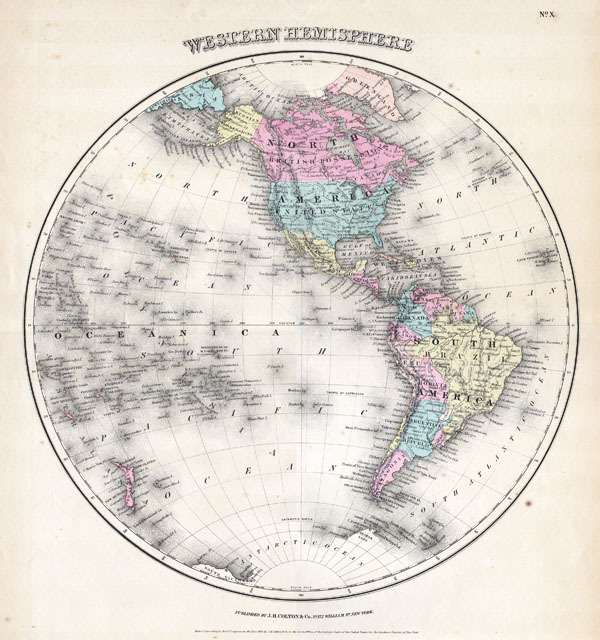 Map of the Western Hemisphere from J. H. Colton's 1855 Atlas of the World. Map is a lithograph from a steel plate engraving. Beautiful hand color. Fantastic detail. Printed on 172 William Street in New York, 1855. Fine or perfect condition. Vivid hand color. Blank on verso.